The new MIUI 7.1.1.0 Global Stable Build is now available for most of the Xiaomi Android phone and tablets. The new build comes with lots of improvements and fixes. 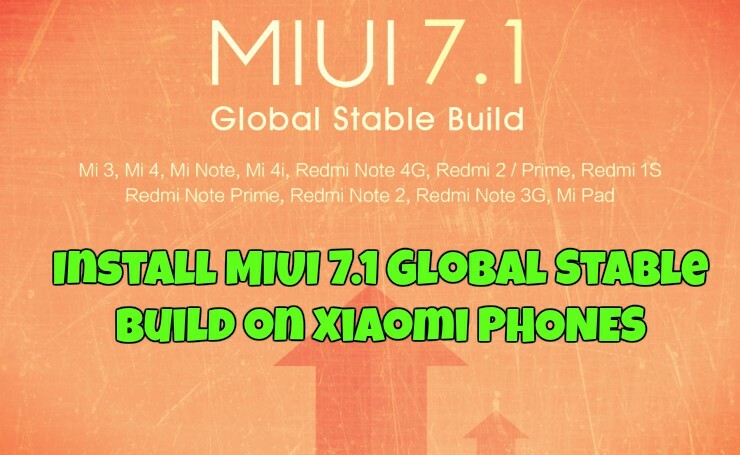 Global MIUI 7.1 stable version supported devices are: Mi 3, Mi 4, Mi Note, Mi 4i, Redmi Note 4G, Redmi 2 / Prime, Redmi 1S, Redmi Note Prime, Redmi Note 2, Redmi Note 3G, Mi Pad. If you are the owner of any of these Xiaomi phone then you can get this update very soon on your phone. Or you can install them manually on your phone. If you can’t wait for the OTA update and want to flash the latest update on your phone manually. 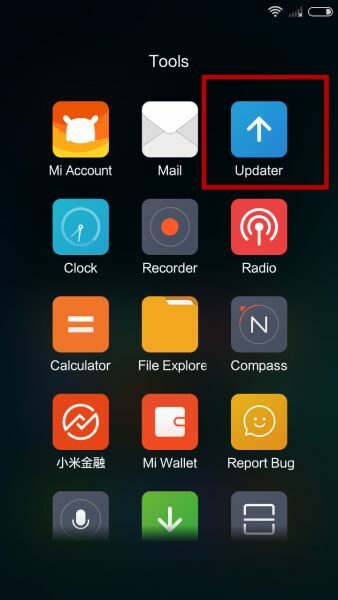 Here is the complete tutorial which you can follow on your phone and update the same with latest MIUI 7.1.1.0 Global Stable Build. The method is very simple and takes a few minutes. Before following, this guide do take the full backup of your phone and save it in some safe place. Don’t know how to take the backup, check out this guide to take the complete backup of your android. Read all the instruction very carefully and follow all thew steps one by one on your phone. If you’re using MIUI V5/MIUI 6 Global stable version on your phone. Use this method to get the update on your phone. Step 2. 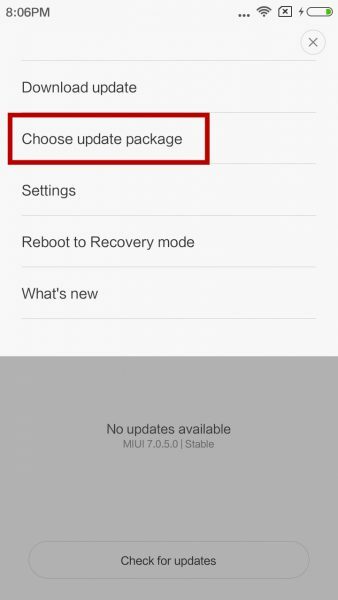 Now you will see the MIUI 7.1 update on your phone. To Install the same on your phone, Press ‘Update’ if you’ve received the update on your device. Step 3. Now the update process will start on your phone. After the download is completed, press Reboot now. Step 4. That’s it. 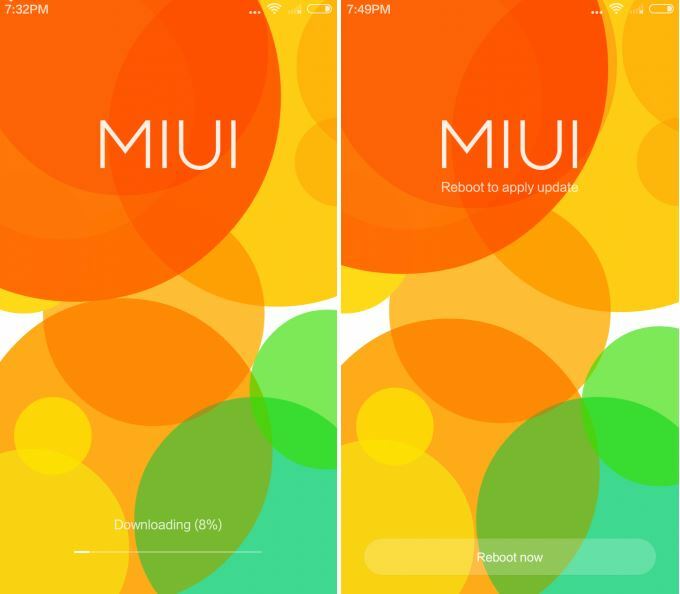 Now you can enjoy the MIUI7 on your phone. Step 2. 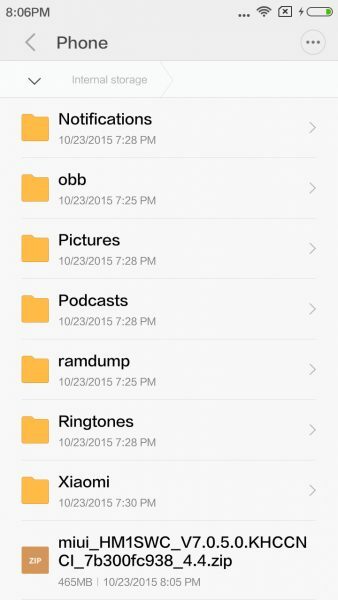 After downloading is completed put the ROM file in the root directory of your device’s storage. Step 3. Go to Updater. Press the three dot on the top right corner, and select ‘Choose update package’. Choose the downloaded ROM file in the last step, and your device will update automatically. Enjoy MIUI 7 on your phone. Run the MI PC Suite on You windows PC and install MIUI 7 update on your phone. Se this guide how to flash the update on your phone. While trying method 2,it shows ‘you dont have enough memory to enter recovery mode’…please help…is there any other method?? whats the main function of this miui 7.1? ?